Attend Brownstone Live November 9, a live show and art gallery a Harlem brownstone | HarlemGal Inc.
← Has Harlem’s Masjid Aqsa Mosque been evicted from Frederick Douglass Blvd location? 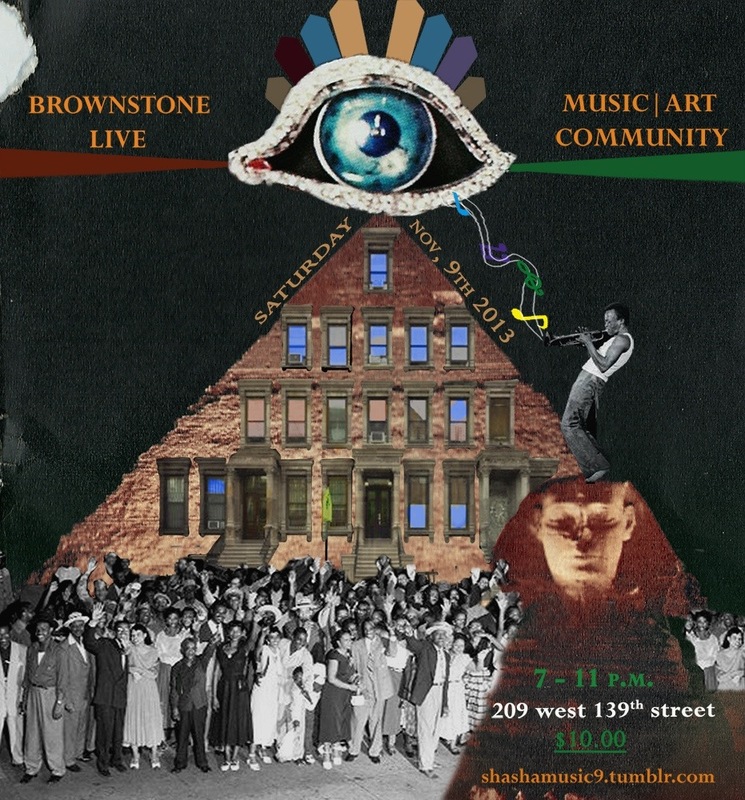 On Saturday November 9th, The Davidson Family will open up their home once again for, Brownstone Live, a live show and art gallery in The Davidson Family Harlem brownstone. Musician, artist, and yogini Tamara Davidson started the salon series to showcase emerging, innovative young musicians and visual artists in an intimate, open, and loving environment. The series began the summer of 2012 and has been a cultural highlight for the New York community since. This year performers include The Javier Santiago Trio, Bae Bro, vhvl, and Tamara. Visual artists include Sonia Louise Davis and Ivan Forde. All are invited to attend. Tickets are $10. Purchase tickets here or RSVP to shashamusic9@gmail.com. This entry was posted in art and culture, Community, entertainment, Events, Harlem, Harlem bloggers, Harlem blogs, Harlem brownstone, HarlemGal, music, New York, New York City, Things to do in Harlem and tagged Brownstone Live, Harlem, Harlem bloggers, Harlem Blogs, HarlemGal. Bookmark the permalink.